Spring feels like it’s really here! 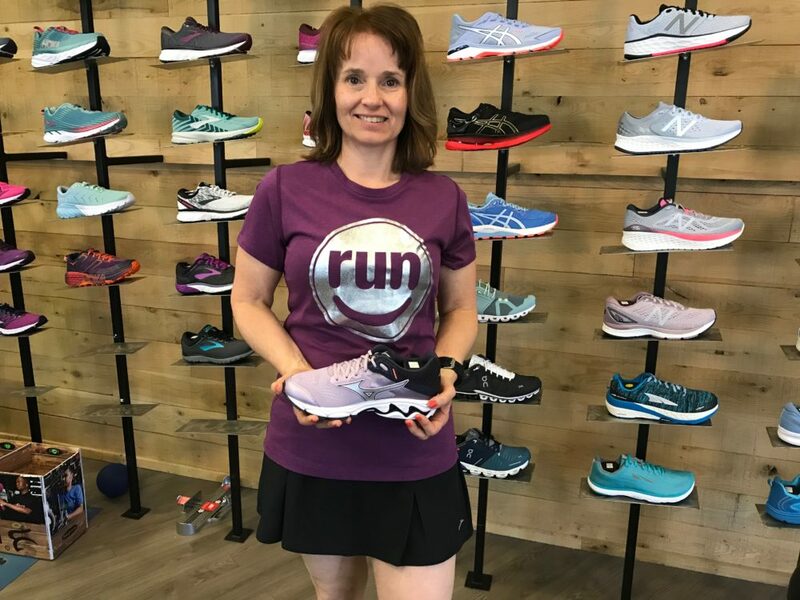 Run into warmer weather with our new spring apparel at Run For Your Life, and new styles and colors from your favorite brands. Mother’s Day is just around the corner, too, so why not treat the mother-like figure in your life to something cool? 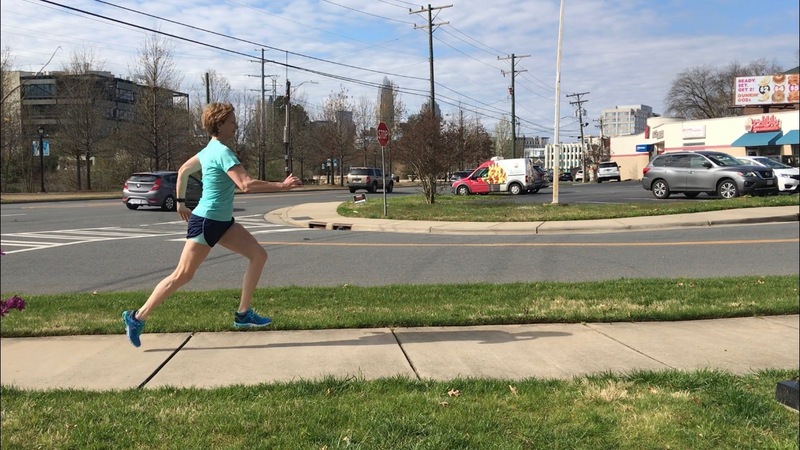 Margaret flies through the streets of Charlotte in her Brooks Rep 3” 2-in-1 shorts. Her shorts give her the extra kick she needs to power up South Kings Drive–as well as store her gels in the hidden pocket. She paired these shorts with the super chic Reaxion V-neck tee from The North Face, and completes the look with On CloudFlows. This spring look makes her feel fast and fierce while training for the Boston Marathon! You can catch Jacqueline rocking the bouncy Mizuno Wave Inspire 15’s when she’s chasing down her speedy Harrisburg cross country runners. She loves to match her kicks with her purple New Balance tee (feat. a METALLIC roadie logo) along with her Brooks Chaser Skort–and yes, we said skorts. They’re BACK, and better than ever! Erin is running happy to the finish line of her college career at UNC Charlotte. 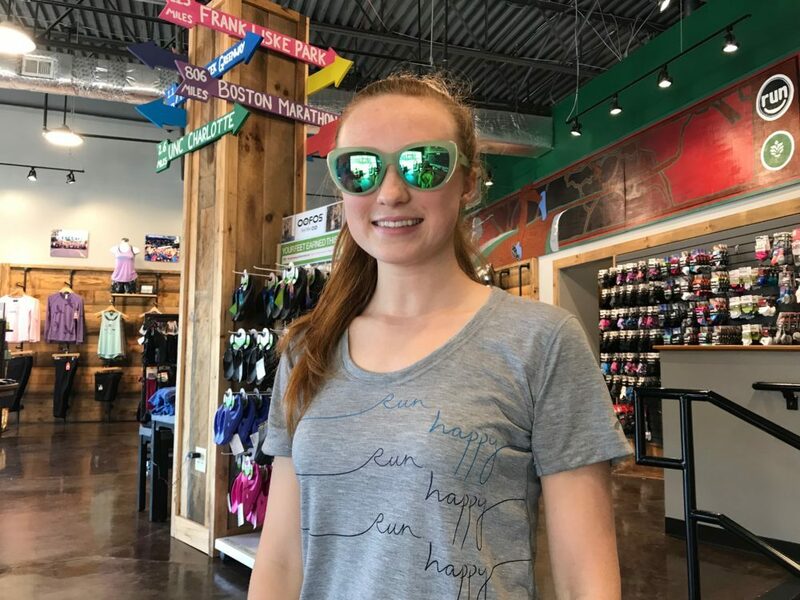 Her Brooks “Run Happy” Distance tee reminds her to be positive during the final stretch of her studies! She also loves to rock the Goodr glasses because her future is so bright… well, you know how the song goes. We love this super motivating tee topped off with some colorful Goodr glasses, too!